Care to be Different > Articles > NHS Continuing Healthcare > Are Continuing Healthcare National Framework guidelines the same as the law? When people talk about NHS Continuing Healthcare law, do they mean the National Framework? So are Continuing Healthcare National Framework guidelines the same as the law? The National Framework guidelines are just that: guidelines. They set out the national processes that all CCGs should follow when carrying out NHS Continuing Healthcare assessments. 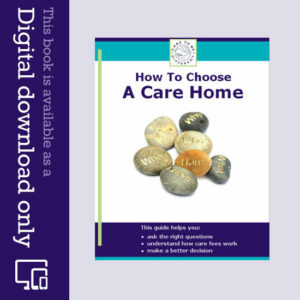 They also set out the obligations and duties of assessors to conduct a fair and impartial assessment based on care needs, not budgets – and certainly not based on whether or not the person needing care has savings or a house. The guidelines are, if you like, a way for assessors to uphold the law. 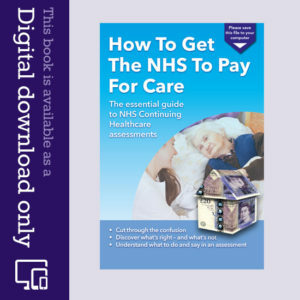 The NHS – in law – must cover the full cost of a person’s care when that person’s needs are beyond the care that a local authority can legally provide. Tip no. 13: If you have local authority funding, why bother with NHS Continuing Healthcare? Hi Meggie – I had the same experience recently. Mulitple examples of failure to adhere to the Framework, not to mention clinical negligence (too late for me to pursue that – and too expensive). The solicitors recommended through this site told me that I had fallen foul of the system and that I should have contacted them before the IRP. Although I’m not sure it would have made a huge amount of difference, given the flippancy of the allegedly independent review panel. I was told as the meeting started that there would be no discussion of anything other than domain scores – had this been explained before the meeting I wouldn’t have attended. You could try contacting your MP – but I’m in the same boat as you – I can’t afford to take the NHS to court especially as the care costs were not statospheric. The only thing that might be an option is to examine whether a group of people with challenges against NHS England can collectively take the NHS to court – via a Group Litigation Order – there must be thousands of us. Outside of NHS legislation there is also the Equality Act – CHC policy is hugely discriminatory. I would be happy to discuss this with any interested parties – I’m disgusted at the hidden policies and culture of fear at the NHS. Hi I am in the same boat as I’m sure are many others. THIS IS NOT RIGHT and NOT FAIR it takes family away from there loved ones at a crucial time. There are solicitors out there who specialise in these cases who offer no win no fees services but i think I personally will take it to court. If successful costs will be paid there seems to be a lot of abuse going on around this ITS WRONG. Does anyone know of any NHS Continuing Healthcare (CHC) maladministration that has been the subject of judicial review? From the stories on this site, and my own experience, maladministration of CHC is commonplace and yet the NHS seem to ‘get away with it’. Next week I will be attending a meeting at one of the hospitals involved in what amounted to 18 months of CHC malpractice (from hospital staff, social workers and CCG staff) in respect of my late father. I have ample evidence of the many many times the National Framework was ignored, misinterpreted, dismissed etc and yet I fully expect to be fobbed off by the NHS staff at the meeting (a senior nurse, a matron and a consultant). That the maladministration was unlawful (as well as cruel, deeply distressing and cost us financially ) doesn’t seem to matter. The NHS staff will be patronising and simply say that they ‘feel’ everything was done properly and they’re ‘sorry’ I ‘feel’ differently. Where is the law in all this? Where is Coughlan? How does a patient’s family fight the NHS? I have been told I cannot be legally represented at the meeting and can only take a friend of family member for personal support. Any advice on how I should approach this or what I should ask or say? Following the meeting I intend to pass the complaint to the Ombudsman. Judicial review isn’t an option because of the cost. It seems wrong that the NHS can ignore the law and yet it is prohibitively expensive for patients to hold them to account. Presumably that is why the NHS is able to behave the way that it does. 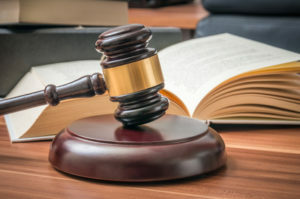 The National framework and its associated tools are underpinned by legally binding direction and standing rules, therefore it should stand the test of a judicial review when investigating flawed procedures and malpractice. Thanks Roger. Unfortunately I can’t afford the cost of a judicial review. I enquired at a firm of solicitors with some knowledge of CHC and their estimate was upwards anything from £6,000 to £10,000 but possibly much more. I expected to be fobbed off by the hospital at the complaint meeting and this is exactly what happened the many points raised in my complaint were not addressed. I have sent my complaint to the PHSO. Sadly, the PHSO have confirmed for me in writing that they have “no legal remit” , their case workers are “not legally qualified” and if I am not satisfied with their response I can go to court. They suggest some solicitors offer a free initial appointment, oblivious to the fact that the majority of solicitors know nothing at all about CHC and public law. They also suggest I could contact the CQC. And I thought the ombudsman was the ultimate arbiter. I am still shocked that the NHS can ignore the law and there is nothing anyone can do.